Designed for relaxation and fun, the carefully chosen amenities enhance the city lifestyle by infusing everyday living with the extraordinary. Arrive at 1401 Broadway through an elevated porte-cochere. Outdoors, you’ll find ample opportunities for socializing and relaxing, whether you just want to hang out or are hosting an event. 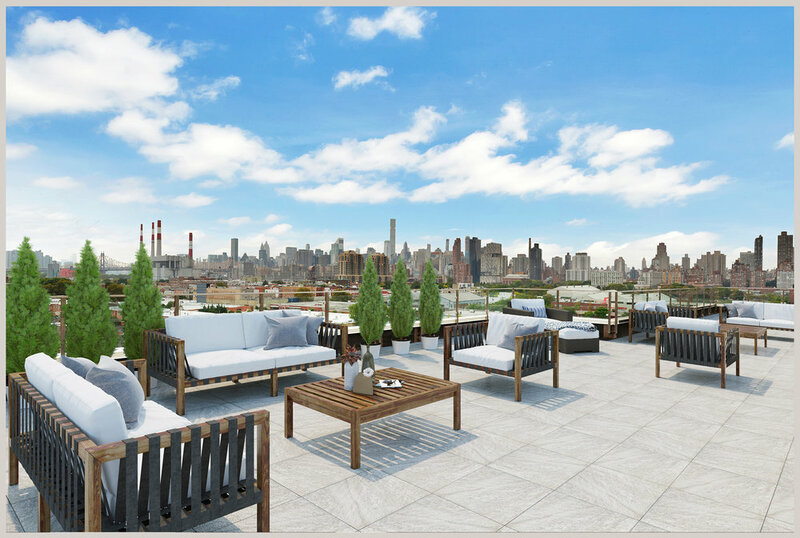 Both the 5,000 square foot outdoor lounge on the second floor and 1,000 square foot landscaped roof terrace, with its 360 degree views of Manhattan and Queens, are ideally situated for residents’ enjoyment. The indoor spaces also offer a soothing yet dynamic ambiance to connect with other residents and unwind. 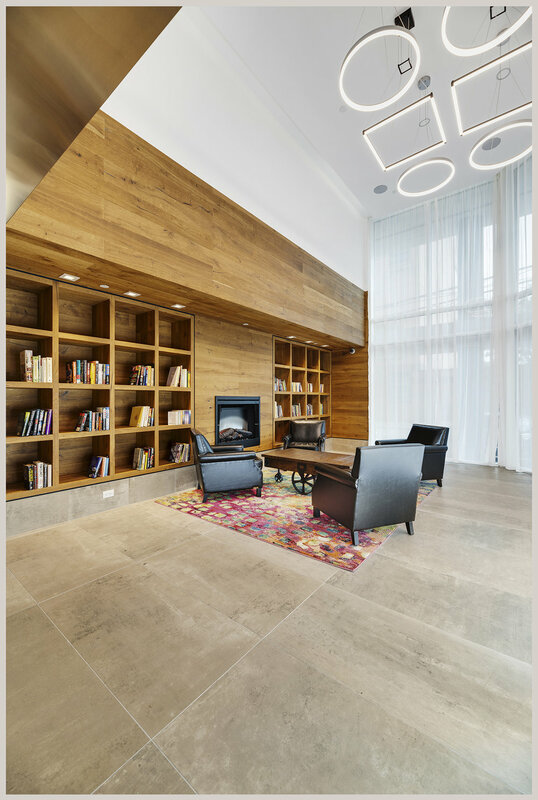 The sophisticated wood-paneled lobby — with its inviting fireplace and full-time doorman — welcomes residents and guests with a chic modern sensibility that is enhanced throughout each apartment. Also included – a library off the lobby, the lounge and game room with a cozy fireplace and a kitchenette, as well as a fully-equipped fitness center that is enhanced with a sauna. Residents further benefit from a bike room and parking, as well as an on-site Zip Car location.